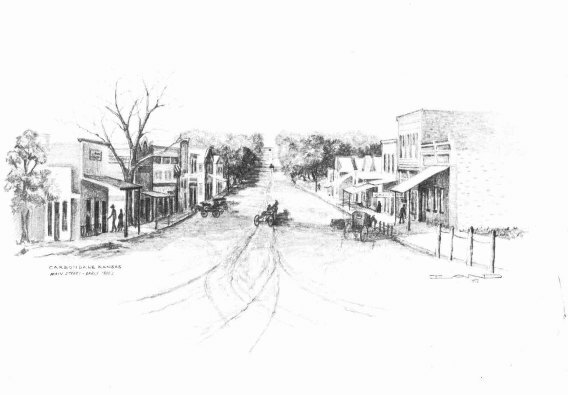 Carbondale, Kansas, was incorporated as a city of the third class on October 15, 1872 with C. C. Moore being the town’s first mayor. The first buildings were erected by the Carbon Coal Company which the community is named after. They consisted of houses for the miners, and a store was erected where groceries, meats and provisions were sold. The coal fields surrounded the town on all sides, and besides the numerous shafts, an extensive business was carried on in strippings, drifts and slopes. There were probably as many as fifty locations where coal was dug, without shafts having been sunk. In 1872 a large two-story stone schoolhouse was built at a cost of $6,000. A. V. Sparhawk was the first Principal. An addition was built in 1882 making the cost of the entire building $10,000. 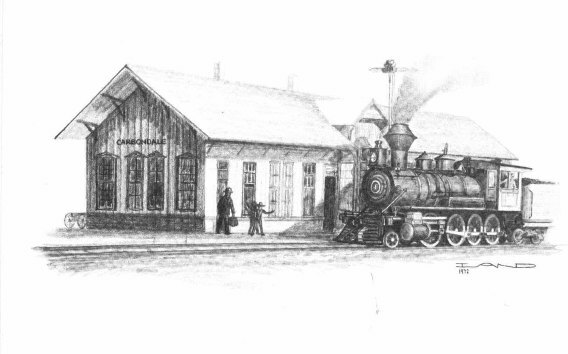 In the spring of 1869, the Atchison, Topeka, & Santa Fe Railroad was completed to the area of Carbondale, and a switch built out for about three-quarters of a mile from the main track, to the coal fields on the farm of J. F. Dodds. Here the railroad received its coal supplies. Carbondale’s history is not without tragedy, in May 6, 1881 nine men lost their lives in a mine fire. The names of the dead were Michael Mullen, Sr., Michael Mullen, Jr., J. P. Hungate, Charles Jones, A. Warner, J. McDonald, George Evans, A. Benedict, and N. McGonigal. From 1906 to 1908 the Daughters of the American Revolution of Kansas placed sixty-six markers along the path of the Santa Fe Trail as it ran through Kansas. Number seventeen is located near the Highway 75 and Highway 56 intersection. 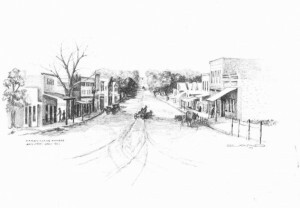 Learn more about the history of Carbondale.